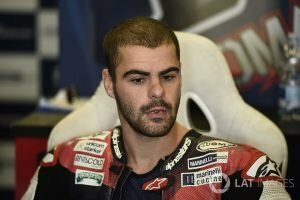 Italian rider Romano Fenati has had his contract with Marinelli Snipers Team terminated following an incident in San Marino on Sunday which saw him grab the brake lever of Stefano Manzi when the duo were traveling at high-speed, with some drivers demanding a lifetime ban for the Italian rider. During the second-tier Moto2 race, Fenati grabbed at his rival’s bike’s brake lever whilst riding at around 130mph, and the Marinelli Snipers were quick to terminate his contract. In a statement released by the team, they said the incident was an “irresponsible act [which] endangered the life of another rider”. “It can’t be apologised for in any way. British MotoGP rider Cal Crutchlow was one of the riders who denounced the actions of Fenati, saying he should not be allowed on the bike again. “He should never compete on a motorcycle again,” Crutchlow said. ‘Here we are. Now we can communicate that the Marinelli Snipers Team shall terminate the contract with the rider Romano Fenati, from now on, for his unsporting, dangerous and damaging conduct for the image of all. ‘With extreme regret, we have to note that his irresponsible act endangered the life of another rider and can’t be apologized (for) in no way. ‘The rider, from this moment, will not participate anymore to a race with the Marinelli Snipers team. 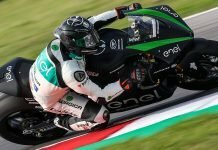 Romano Fenati’s shocking grab of rival Stefan Manzi’s front brake during Sunday’s Misano Moto2 Grand Prix could cost him more than the disqualification and two-race ban handed out by Race Direction. 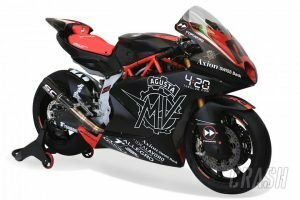 Fenati has already been announced as joining the new MV Agusta Moto2 project next season, to be run in partnership with the Forward Racing team which Manzi currently rides for. 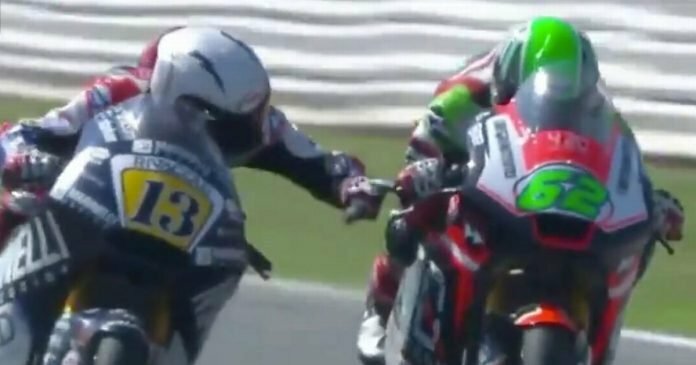 It is also worth noting that this is not the first time Fenati has engaged in such antics. Back in 2016, the Italian youngster was involved in an altercation with Finland’ Niklas Ajo. He had first kicked out at the Finn’s bike as they passed each other on their slowing down lap. Later, as they were doing their practice starts, Fenati lined up next to Ajo, reached over and hit the kill switch on the Finn’s bike. In the same year, he had an altercation with his team and Valentino Rossi’s best friend Uccio Salucci. 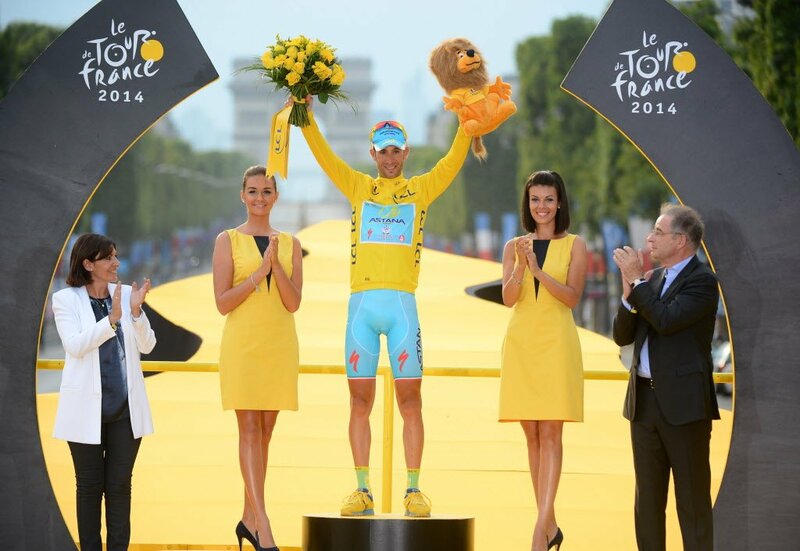 the latter led to his sacking from the VR46 Moto3 team. A lap earlier, Manzi attempted an overtake on Fenati but the end result was a collision and both riders going wide. 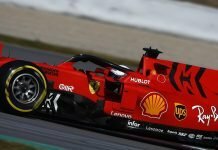 Manzi, for his part, was given a 6-place grid penalty for irresponsible riding. It is safe to say that Fenati’s career is officially in ruins. 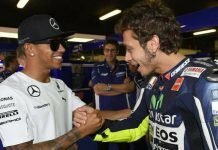 Lewis Hamilton and Valentino Rossi to Swap Seats?